One of the things I am trying to work on this summer is to be more self-critical about the way I treat and act on information. Frederik Andersen’s trade from the Anaheim Ducks to the Toronto Maple Leafs, and his subsequent signing of a five-year, $25 million contract proved to be a good opportunity in that sense. Hearing Frederik Andersen’s deal with the Leafs is $5.5-million a season. That’s a big commitment for a goalie with 125 games played. Initially, I cringed a bit at the term and cap commitment Toronto made to Andersen. Five years is a long time and $5M per year is a big money for a guy who is not guaranteed to play all that well. But I could be very wrong on that. Ryan Johansen – How much is he worth on a Bridge Deal? The Ryan Johansen contract dispute is the biggest contract talk going in the NHL as training camps begin, as you might expect. 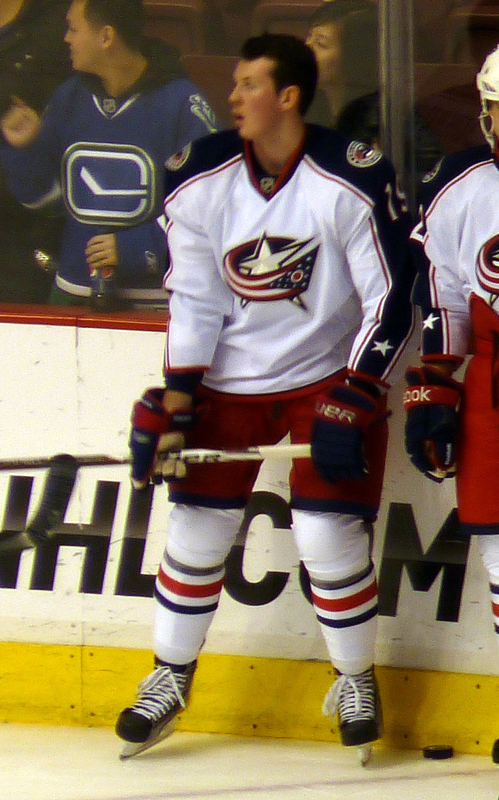 Johansen is young, with a great pedigree (4th overall in 2010), and is coming off a seemingly breakout season that also led Columbus to its first playoff relevance in quite a while. And yet Johansen is unsigned and is unlikely to be so going into camp, with the Columbus front office opening fire this week on Johansen’s agent. Both sides have seemingly agreed at least to a bridge deal – Johansen at first was seriously against such a deal, but has since agreed a 2 year deal is acceptable. But they are WAY apart on the money – reports have Columbus at 3 to 3.5 Million over 2 years while Johansen is sitting at 6 to 6.5 Million. But what is reasonable for a player’s first two RFA years? A quick note: This article is considering how much those years are worth in the league’s current economic structure, which is team friendly and makes RFA deals less pricey than UFA ones. You can argue whether this is unfair to the player or not (it’s not), but if a player wants to fight the system is recourse is to either go to the KHL or not sign and “hold out” – see Ryan O’Reilly a few years ago for an example. Since nearly all players don’t want to do that and accept the league’s economic framework eventually, that’s the framework we’ll be using for this post.